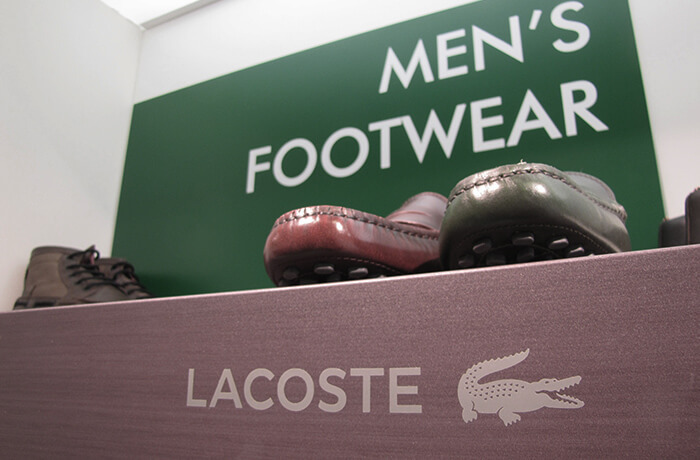 Following the launch of a new retail look in their boutiques, Lacoste wanted to give consumers in Ireland a taste too. 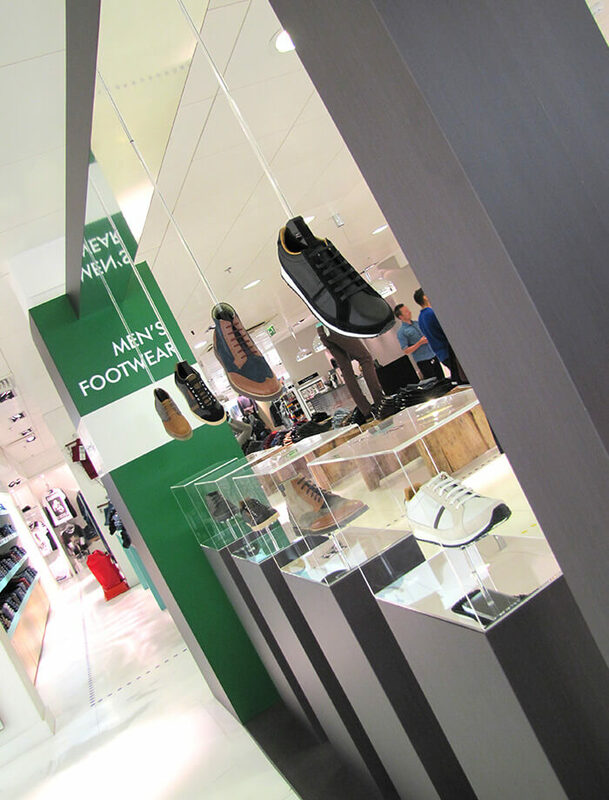 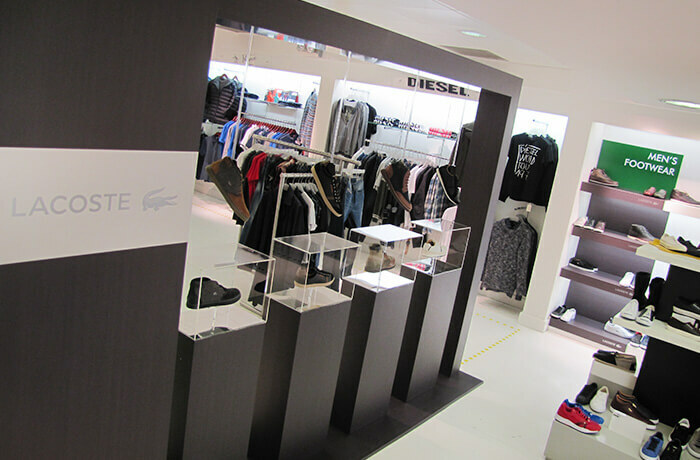 We designed and installed a popup space at BT2, Brown Thomas’ streetwear sister-store for this purpose. 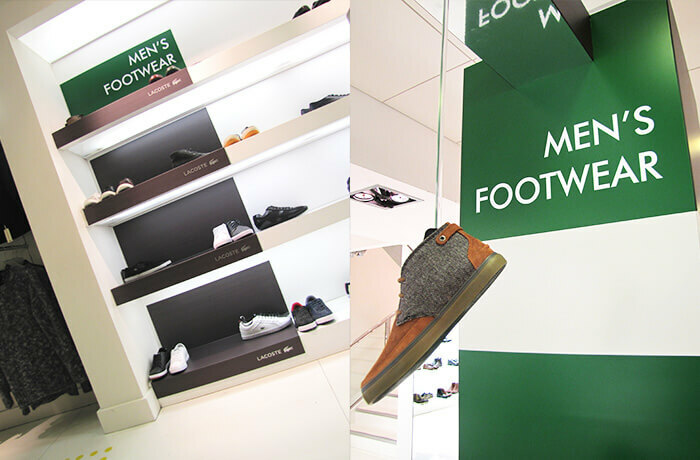 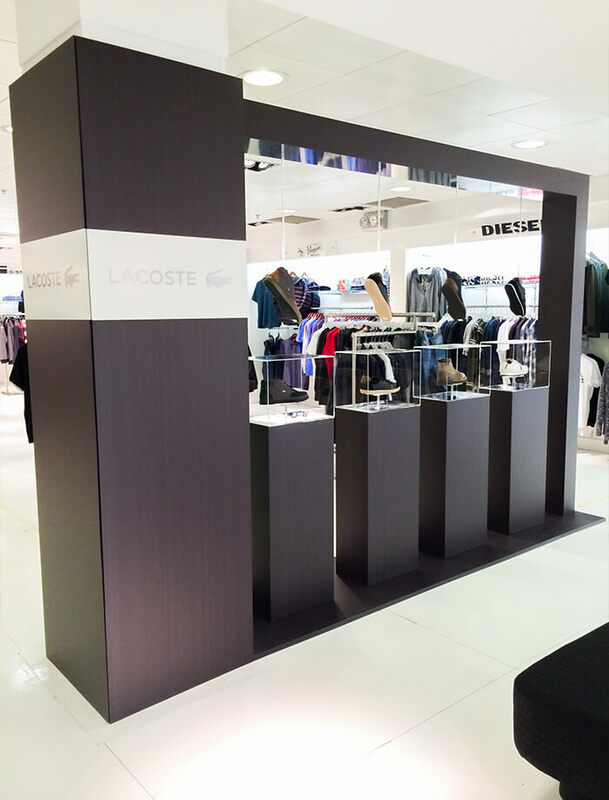 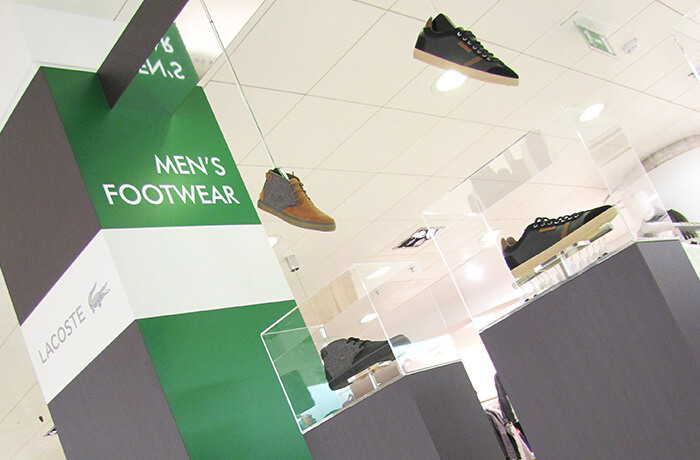 It’s imposing structure and bold colours gave Lacoste command of the footwear area for four weeks, and the sales uplift was noticable.